Your baby is almost eating everything at this time. You can remove the cereal since he/she should be getting his nutrition from the other solid meals now. You will also notice that he/she may start to pick out favorite meals, which makes the not so like meals difficult to get through. 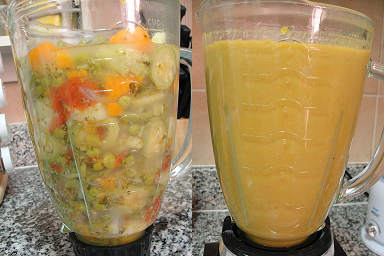 Keep the vegetable soup as long as your baby is still eating it. It is very nutritious. Remember the little one is starting to develop a personality of his/her own. In my baby’s case, he doesn’t like eggs so I mix it with half a banana and blend them with some orange juice. you can pick you’re your baby’s favorite fruits and mix. 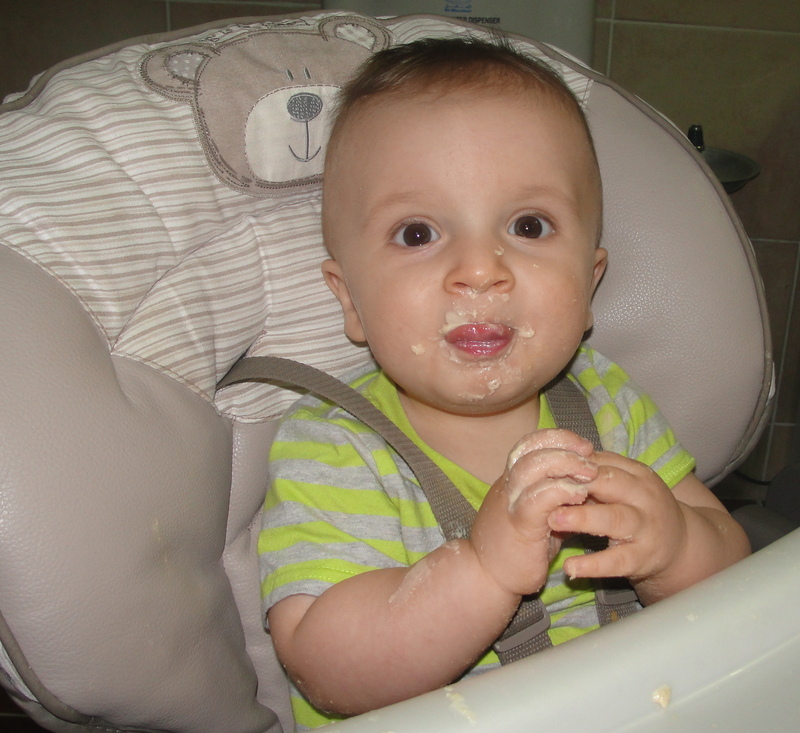 This entry was posted in Baby and tagged Baby, Baby food, Cooking, Food, Recipes for Babies. Bookmark the permalink.